In the summer, it’s easy to load our plates with veggies. We’ve got a container garden full of sweet cherry tomatoes; farmers markets bursting with eggplants, greens, peppers and corn; and more fruit than we know what to do with. In the winter, not so much. 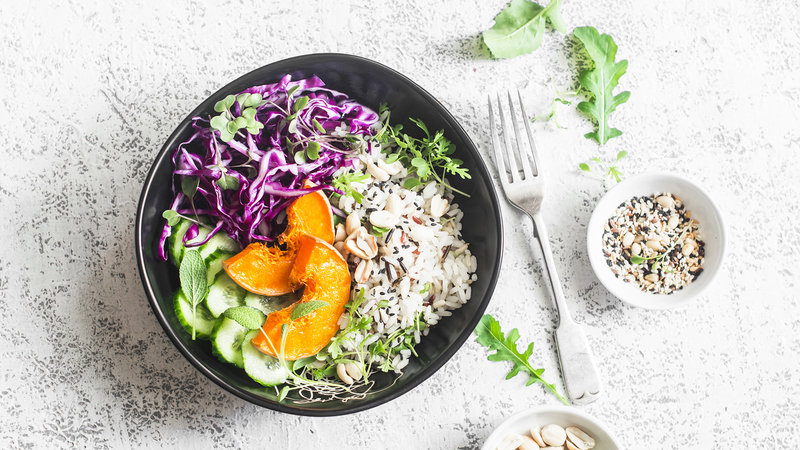 We tend to lean a little too heavily toward roasted meats, creamy casseroles and other comfort foods that are mostly made with simple carbs and more dairy than any human should consume in one sitting. But it doesn’t need to be this way. In the winter, there’s a bounty of seasonal veggies that can put a spring in your step even when it’s below zero outside. From root veggies like beets and celeriac to bright green broccoli and Brussels sprouts, these dishes are packed with flavor, fiber and vitamins, helping to keep you from going into full hibernation. After all, you don’t want to miss spring. 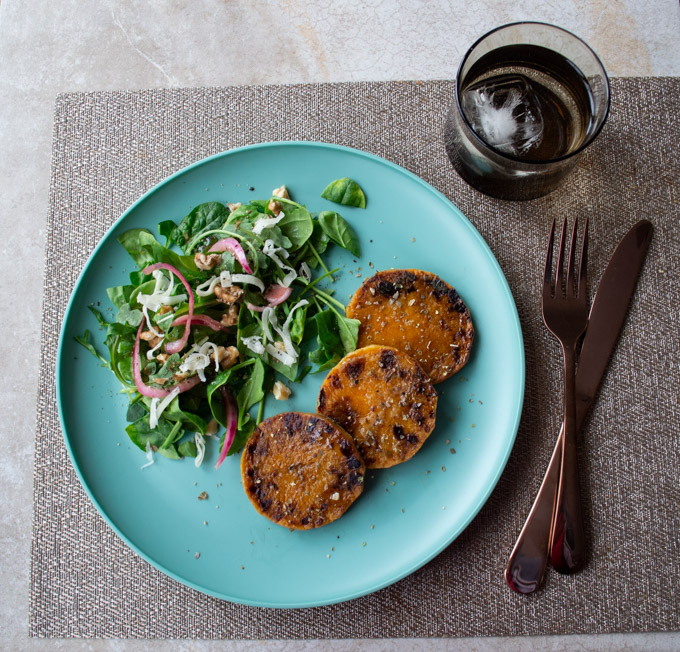 Rounds of butternut squash seared in garlic butter are served with a grassy spinach salad to make this nutritious winter meal. Image: Short Girl Tall Order. 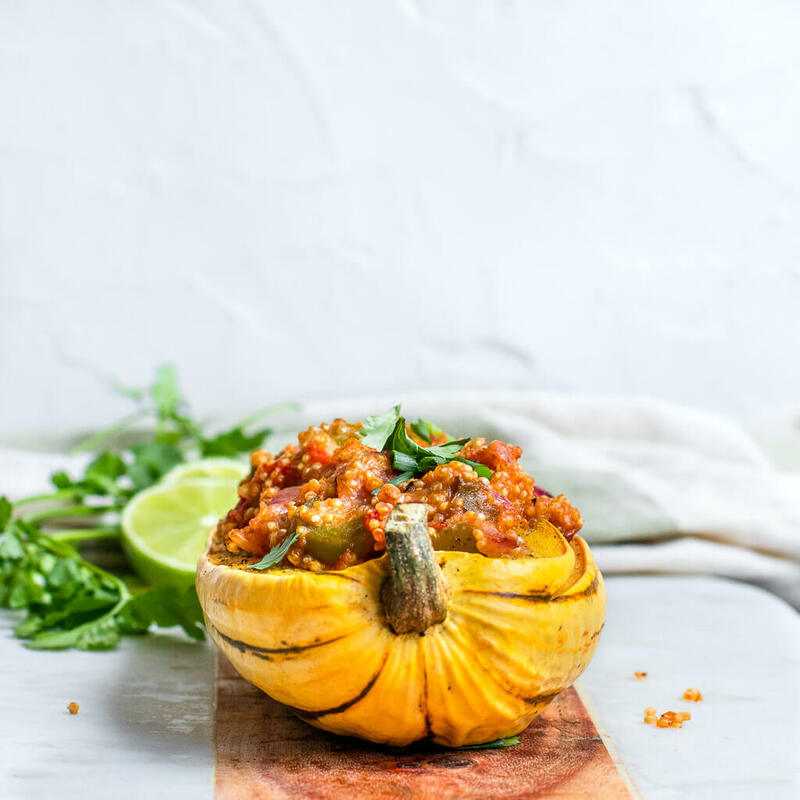 Delicata squash is an easy-to-prepare winter squash that doesn’t have to be peeled before cooking and eating, making it ideal for weeknight dishes like this vegetarian quinoa recipe. 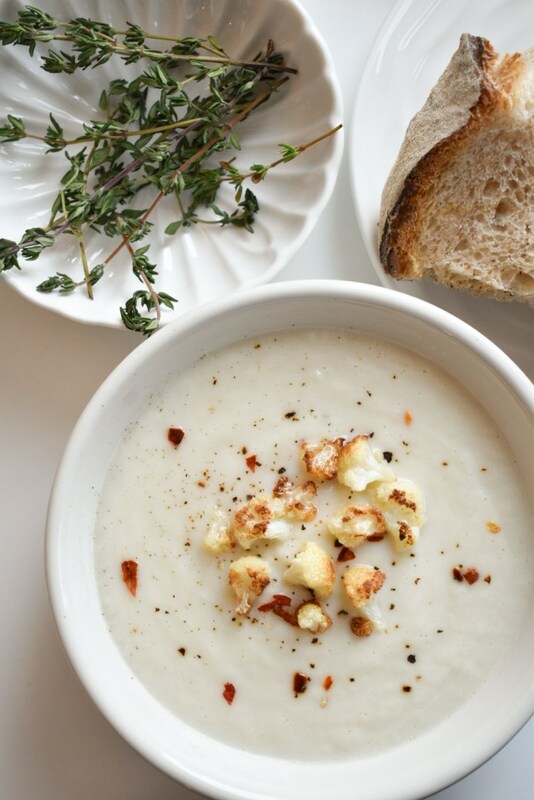 Cauliflower is simmered in nondairy milk, then puréed to create this silky soup. Salad isn’t just for summer. 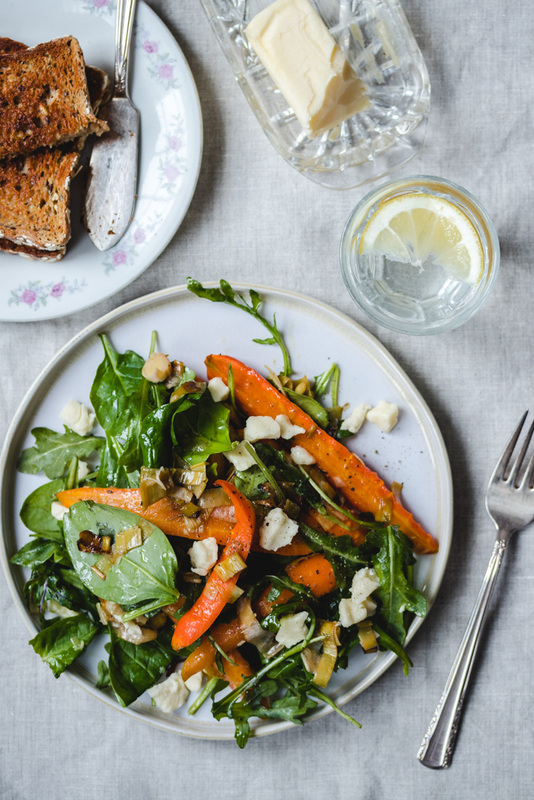 Pair roasted carrots, leeks and lemons with peppery arugula for this fresh-tasting winter meal. 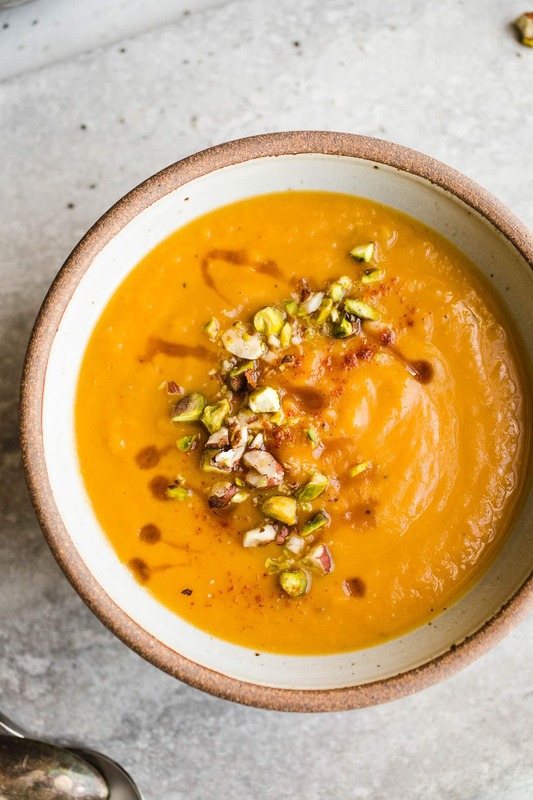 Packed with fiber, vitamin C and vitamin A, a pot of creamy vegan sweet potato soup will keep you feeling your best even when the weather outside is frightful. Image: Sweet and Savory Meals. When your summer salad faves like heirloom tomatoes, cucumbers and mixed baby greens aren’t in season, look to a hearty broccoli salad to up your veggie intake. 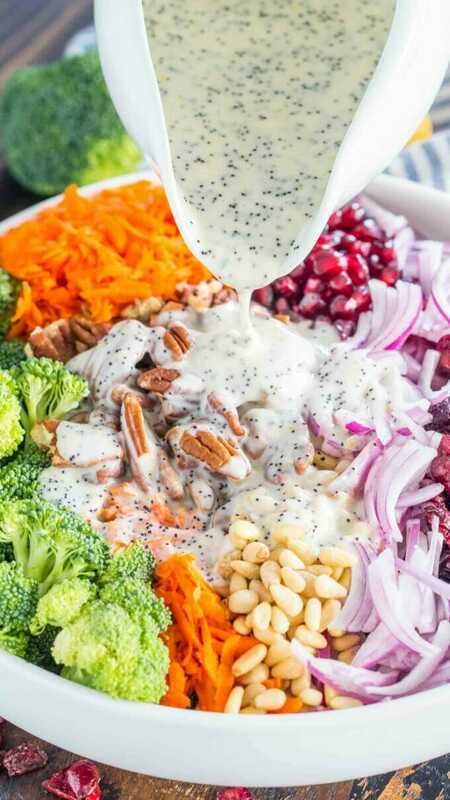 Tossed with carrots, pecans, pomegranate arils, dried cranberries, red onion and pine nuts, you could eat this lemon-poppy seed dressing-tossed dish as a side or as a meatless entrée. 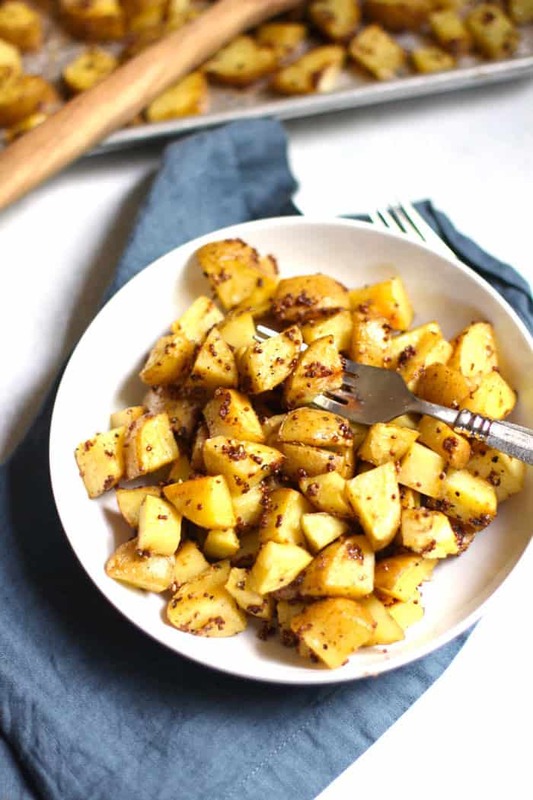 Whole-grain mustard does the heavy lifting in this recipe, loading your roasted potatoes with flavor. You don’t have to just use plain white potatoes for this, either — multicolored fingerlings or Peruvian purple potatoes would be delish too. 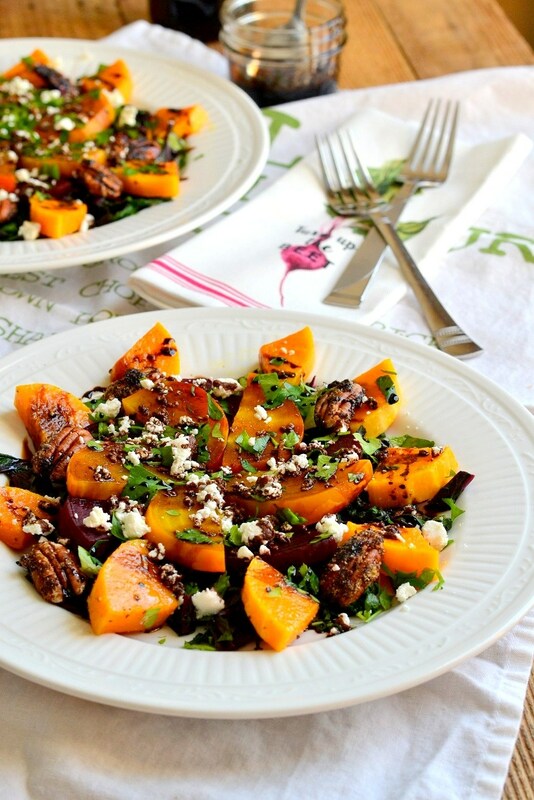 A reduction of tangy-sweet balsamic vinegar is drizzled over earthy beets and sweet butternut squash to make this warm winter salad, which gets crunch from candied pecans and richness from crumbled goat cheese. Image: It's a Veg World After All. 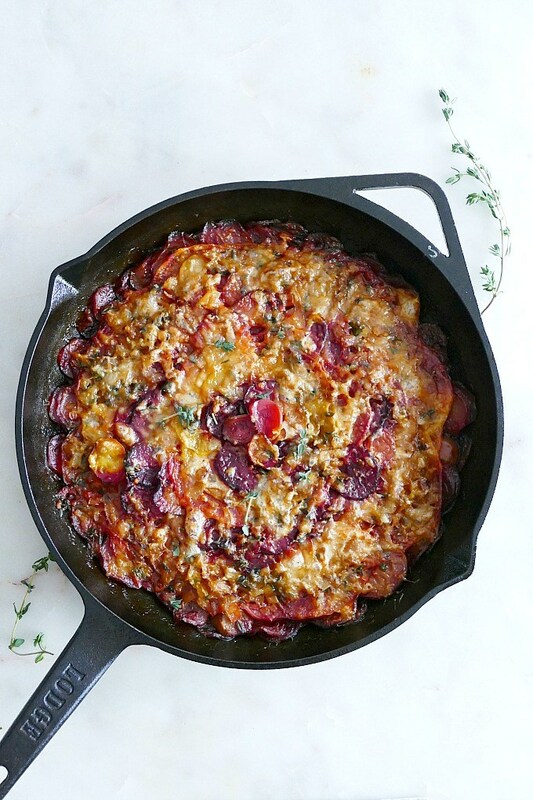 Thinly sliced turnips and beets get melt-in-your-mouth tender in the center of this gratin and crispy and caramelized around the edges. Melted Gruyère adds a sweet nuttiness to each bite. 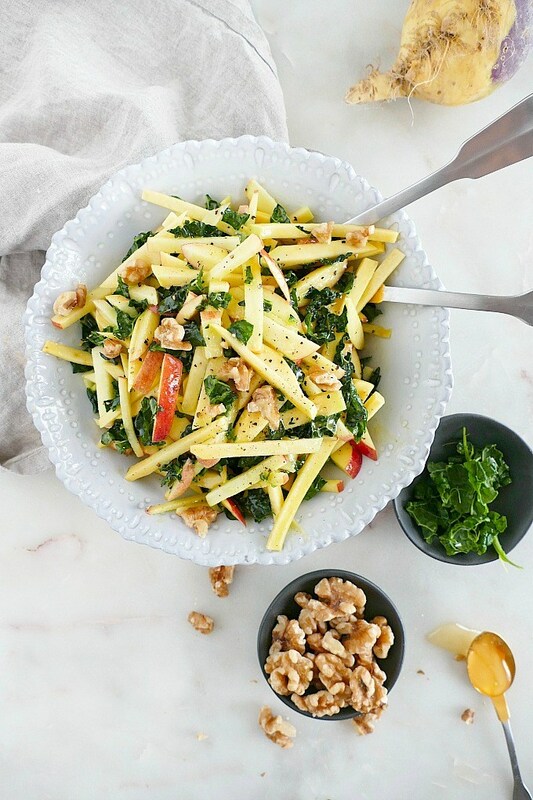 Apples help enhance the natural sweetness of earthy rutabaga, while kale adds a welcome touch of green, grassy flavor. 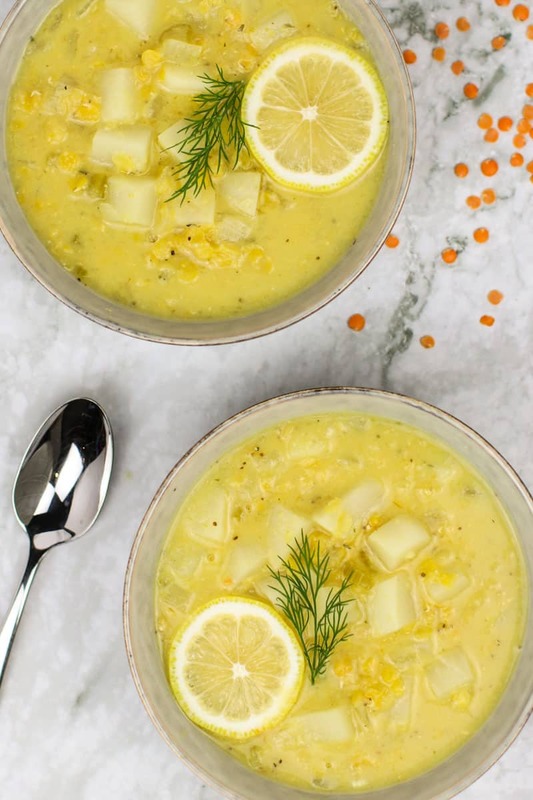 Lemon and dill brighten up each spoonful of this chowder, made creamy from coconut milk and broken-down red lentils. Chunks of tender turnip throughout give it a satisfying, hearty texture to keep you warm on chilly nights. Image: Little Chef Big Appetite. 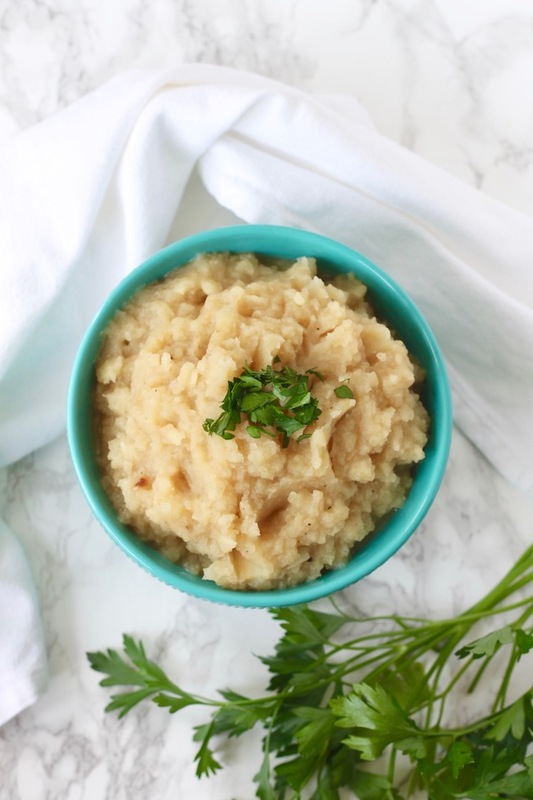 With a creamy, fluffy texture similar to potatoes, mashed celery root will let you give into your comfort food cravings low-carb style. 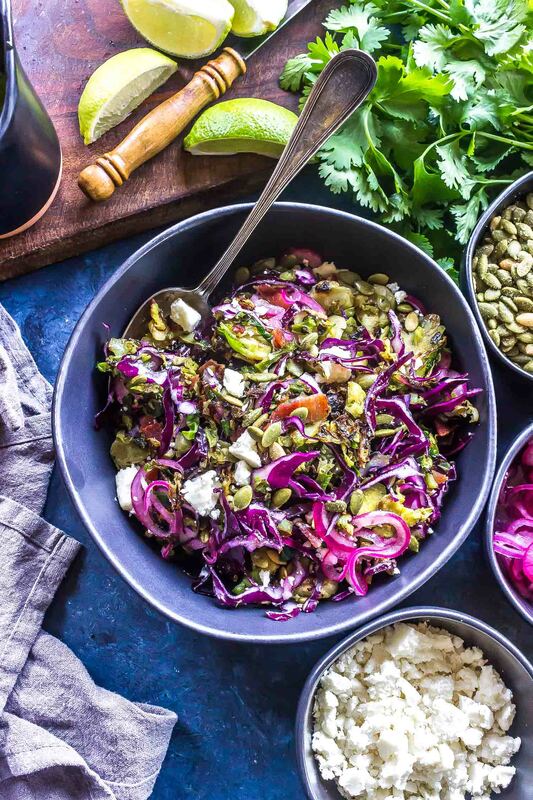 Brussels sprouts are charred in a cast-iron skillet until crisp-tender, then tossed with purple cabbage, crispy bacon, pepitas and other goodies before being tossed with a tangy lime and cilantro dressing.